The double Charleston porches you love! Grab your favorite book and sweet tea and watch the world go by! Bright open floor plan features gorgeous wide plank wood flooring and designer lighting. Spacious living room with cozy fireplace is open to the dining room with crown & chair rail accent.. Gourmet kitchen boasts 42” cherry stained maple cabinets, granite countertops and stainless steel appliances. Inviting master retreat has a deluxe tiled bath with garden tub & separate shower and French door access to the upper porch. Guest bedrooms both have double closets & sunny double windows. A patio overlooks the privacy fenced yard & 2-car detached garage. Vermillion offers residents a community pool, playground, walking trails and garden. Walk to the town square for dinner at Harvey’s or Block Bistro! 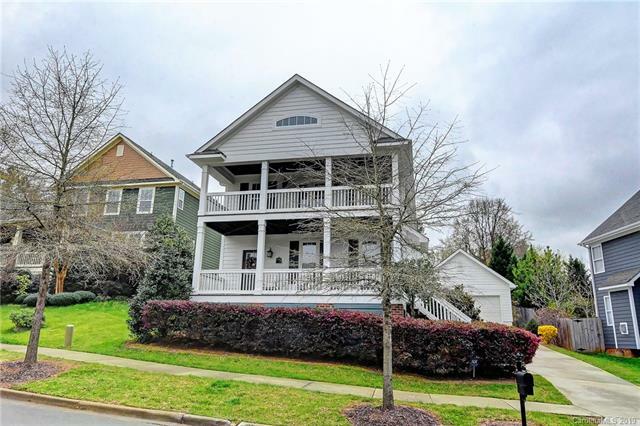 Minutes to downtown Huntersville and easy highway access!